This gorgeous beast sports our RF6 remote oil filter kit and belongs to Kevin Thies of Loves Park, Illinois. 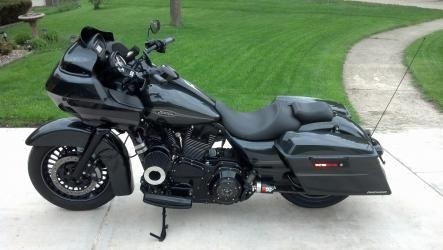 It's a 2009 Road Glide, running a Stage 4 107" engine, built and tuned by Drago's Bike Works. With the Procharger and methanol injection it makes a whopping ﻿209 horsepower ﻿&﻿ 169 lb/ft of torque... at the rear wheel! 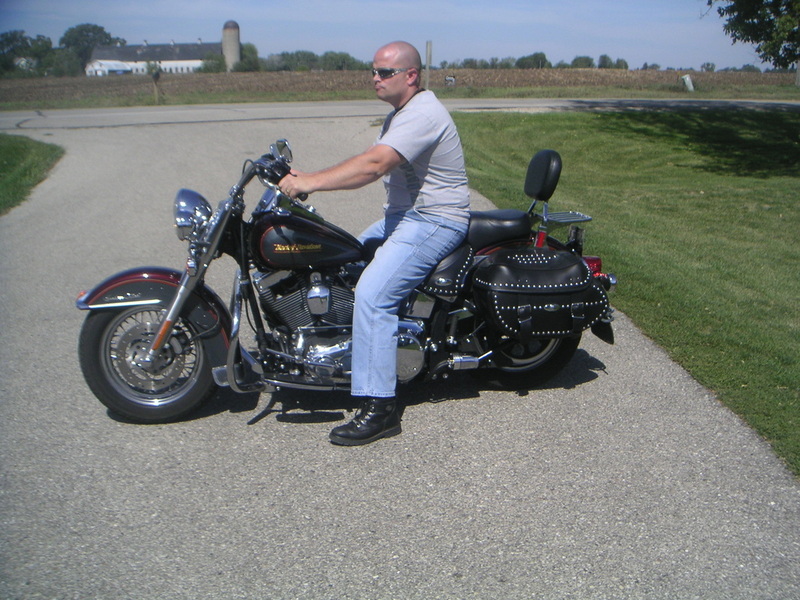 This wild Road King is owned by Mike Wallace. Mike runs our RF2 kit on both of his bikes and has them both outfitted with reusable oil filters. 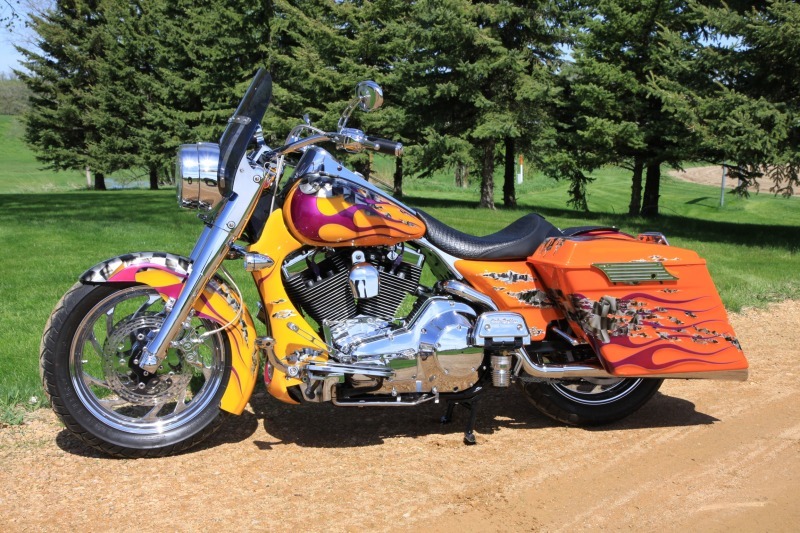 Here is our RF5 Remote Oil Filter kit mounted on Dan Dailey's immaculate 2002 Heritage Softail. 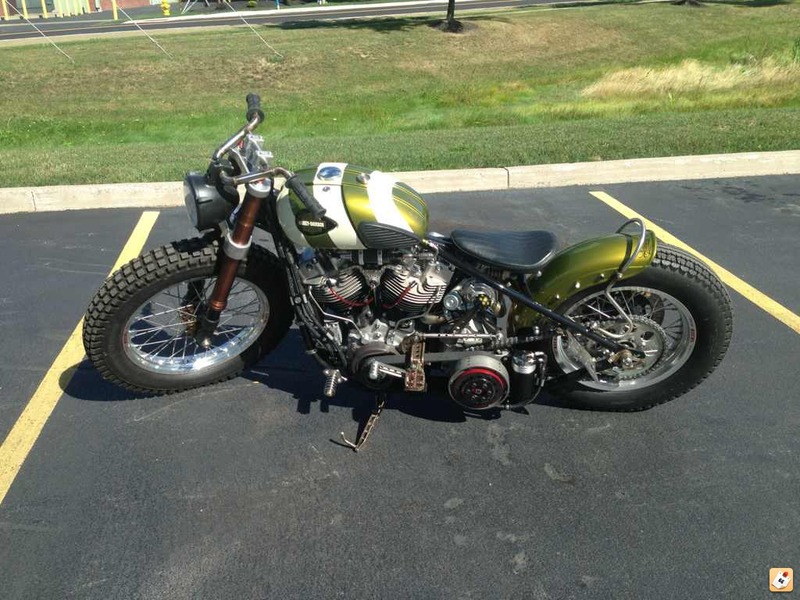 Chris Newman, out of New York, mounted our RF3 Universal Weld-On Remote Oil Filter kit vertically on his crazy, turbocharged Shovelhead.